Earlier, we shared tutorials for adding Facebook open graph, Facebook like button and Facebook comments to WordPress. In this post, we are gonna see how to add a Facebook like box to a WordPress site. You can very well find it in our sidebar, it has become very popular that’s the reason it’s being used by almost all of the WordPress blogs. Today, we are gonna see step by step guide of adding this like box (or fan box) to a WordPress website. There are two ways to have the Facebook like box on your WordPress blog. Go to Facebook Like box – developers Page. 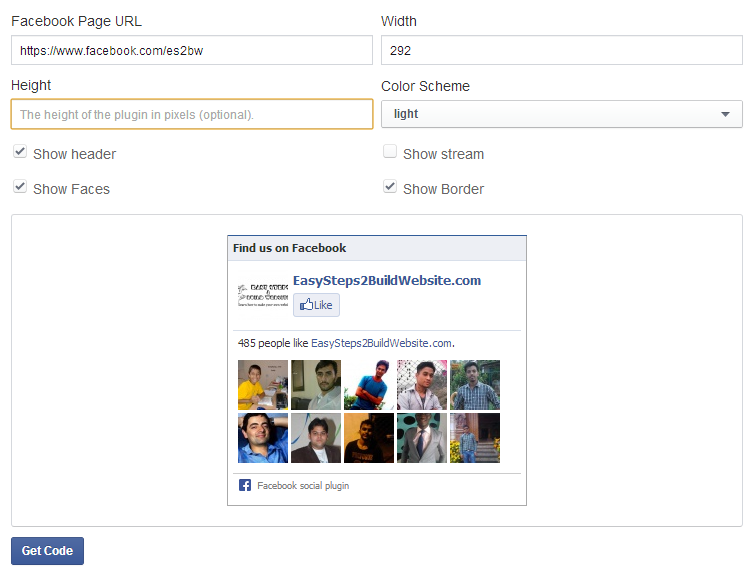 Provide the address of Facebook fan page and configure the other options such as height, weight, color scheme. You can also control what all you want to be included in the like box by selecting the check boxes for show header, show stream, show faces and show Border. Click on “Get Code“. You would get a pop up screen like this one. Actually Facebook provides four types of code for the like box. We will walk you through, how each type of the code can be added to your website, you choose one out of them. Replace Your-FB-App-ID with your actual Facebook App ID, which contains numeric values. If you do not have one then you can refer this guide to create a new Facebook App ID. And add the below code where you want to display the like box. If you prefer to have it in sidebar then go to Appearance » Widgets » Text Widget, paste the code. Note: Replace the address with your Facebook fan page address in the data-href field below. Step 1: Paste the below code in either the header.php or footer.php same as we did for last one and replace the Your-FB-AppID with actual App ID. Step 2: you need to add the below XML namespace to the <html> tag. /*Add an XML namespace to the <html> tag of your document. Replace the Facebook fan page address with yours. 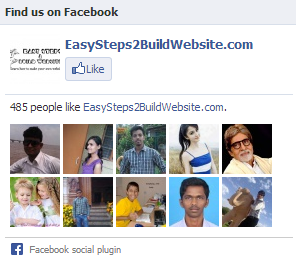 This is one of the easiest way to add Facebook like box in WordPress themes. This doesn’t require editing of theme’s files, all you need to do is to have the below code in sidebar (Appearance » Widgets and the code in Text Widget). Remember, to replace the correct value in appId field of the below code. Since, we need to add like box, drag and drop Facebook like box widget into the sidebar and configure the settings. That’s it you are done with adding like box into your theme. If you feel that there is any other easiest way to add the Facebook like box/fan box into WordPress then do let us know through comments. Great information but I’ve discovered that Facebook deprecated their Like Box as of June 23, 2015. They changed the API for it. 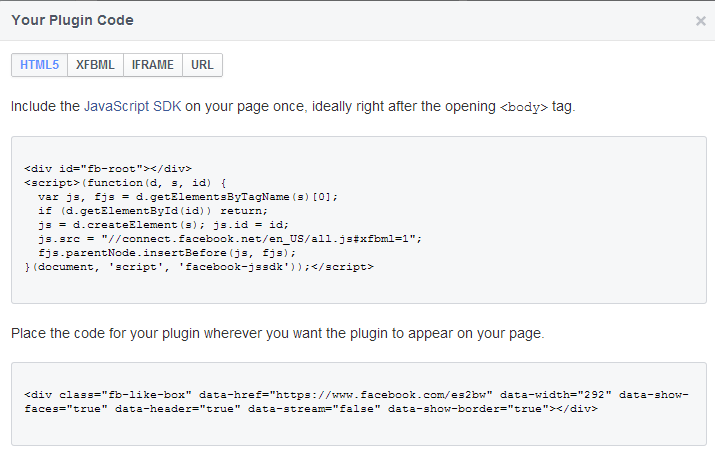 https://developers.facebook.com/docs/plugins/like-box-for-pages. Delete the link you have to the old Facebook Like Box as it no longer works. Can you please updated the code for the new Facebook Graph API v2.3?